Expressing regret that case had resulted in the man having no ongoing personal relationship with his granddaughters as beneficiaries of the estate, Mr Justice Tony O’Connor said that to imply an arrangement enforceable against the estate of the deceased as a result of his discharge of the policy was “far-fetched”. In 2000, the plaintiff, William Kenny, purchased a one-bedroom apartment in Dublin for IR£160,000 (€203,158.00). The plaintiff and his son, Keith Kenny, now deceased, borrowed IR£130,000 and were jointly and severally liable for the mortgage repayment. The plaintiff explained that he discharged the IR£30,000 deposit, all mortgage repayments, and the mortgage protection policy annual premium. The plaintiff explained that the apartment was bought in joint names to appease the lender, First Active plc, who had stipulated that they wanted someone younger to be responsible for repayments. First Active plc also required mortgage protection policies to be assigned so that the outstanding mortgage repayments would be met in the event that either of the plaintiff or the deceased died. When applying for a re-mortgage facility from Permanent TSB in 2007, both the plaintiff and the deceased opted not to take out mortgage protection assurance, and therefore the mortgage protection policies which had been assigned to First Active continued in place after 2007 but remained unassigned. In 2018, Permanent TSB took possession of the apartment. The market value at the time was around €230,000, and €269,000 was still owed to Permanent TSB. Keith Kenny died in January 2013, survived by three daughters, including the defendant, Alison Kenny, who is the administrator of the estate. Aviva Life and Pensions Ireland Limited confirmed that a monthly premium of €36 was paid from April 2000 to January 2013, in respect of the policy for the life of the deceased. The payments, totalling €5,594.54, had been paid by the plaintiff. Ulster Bank (the successor to First Active) confirmed no further interest in the life policy, and Aviva did not have any notice of the plaintiff’s interest in the policy covering the life of the deceased. The proceeds of the mortgage protection policy amounted to approximately €95,000, which was paid to the deceased’s estate. The plaintiff argued that a resulting trust arose because he did not intend to benefit the recipient. (Stanley v. Kieran  IESC 19 and Carreras Rothmans Ltd v. Freeman Matthews Treasure Ltd  Ch 207 considered). The plaintiff argued that there was no evidence that there was any intention to give a gift to the deceased, who was 37 years old and independent and the time of the purchase. As such, it was submitted that the presumption of advancement could be displaced by evidence that the father did not intend to make a gift to his child. The defendant argued that the plaintiff’s evidence was strongly indicative that the property and any insurance policy was a gift to the deceased, and that there was no intention to withhold ownership of the property. Mr Justice O’Connor explained that the plaintiff effectively relied on a model of remedial constructive trust – arising in circumstances where a person would be unjustly enriched if they were permitted to attain property (East Cork Foods Ltd v. O’Dwyer Steel Co.  IR 103 considered). The thrust of the plaintiff’s case was that it would be “inappropriate” and “grossly inequitable” to allow the defendant take advantage of the plaintiff’s error in not reassigning the mortgage protection policy. The defendant, referring to Gilligan J.’s judgment in In Re Varko Limited  IEHC 278, noted that no conduct on the part of the deceased was impugned, and that no action on the part of the defendant or the other daughters led to the insurance company stating that the proceeds of this policy were to be paid to the estate and not to any third party. Mr Justice O’Connor explained that for the plaintiff to succeed in his claim for a resulting trust, he had to rebut the presumption of advancement that arose with regard to a father and child, by demonstrating that his intention was not to make a gift to the deceased. 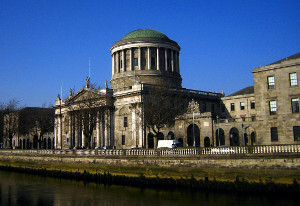 Stating that the plaintiff was unable to explain what would have happened if he had died before the deceased, Mr Justice O’Connor also concluded that the plaintiff never agreed or settled with the deceased what would happen with the proceeds of the mortgage protection policy that remained unassigned. Stating that the deceased had a considerable primary liability for the loan from Permanent TSB, Mr Justice O’Connor said there was no unjust enrichment of his estate by the discharge of limited premia by the plaintiff. Mr Justice O’Connor said he could not find a breach of good faith by the deceased, and that it was not grossly inequitable to allow the law to operate as Aviva indicated. Stating that it was “far-fetched to imply an arrangement enforceable against the estate of the deceased arising from the [plaintiff’s] discharge of the premia for a policy covering the life of the deceased”, Mr Justice O’Connor said that the extent of evidence in favour of the plaintiff’s claim was that he paid the premium due in respect of the mortgage protection policy for the life of the deceased. In this regard, Mr Justice O’Connor said he would hear counsel in relation to an application for the estate to repay €5,594.54 – i.e. the sum total of the premia payments.